Care needs to be taken when introducing new pullets (or grown hens) to your flock. 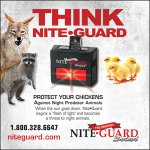 Chickens take their pecking order very seriously and any new addition is seen as a threat to their place in the order. 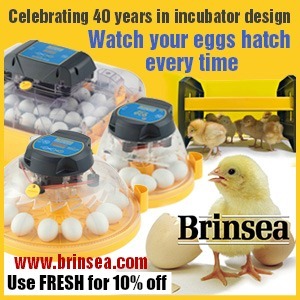 Even your sweet, affectionate hens might literally peck chicks, pullets or even full-sized hens to death if they are added suddenly. Formerly sweet hens all of a sudden become 'mean girls', prowling the run, like grade school bullies in a school yard, looking for unsuspecting little ones to peck and put in their place. Any time new members are added to (or taken away from) a flock, there will be a disruption in the pecking order. Some picking and squabbling should be expected but not to the extent that any real damage is done or you see blood. In a perfect world, new chickens/pullets would not be added until they are about the same size as the others, never before they have been separated within in the run but behind fencing for at least two weeks - or quarantined AWAY from the others for at least 30 days (VERY important in the case of pullets or adult birds acquired elsewhere being added to your flock for biosecurity reasons) - and at least two birds (and preferably more than two) at a time. That said, it's not a perfect world and things don't always go as planned. I personally don't have the set-up to house chicks separately from day-old to 6 months or more waiting for them to be full grown so they can join the others in the run. But I have developed an 'integration program' that seems to work well. My chicks start out in a plastic storage tote complete with a little dust bath and roosting bars. 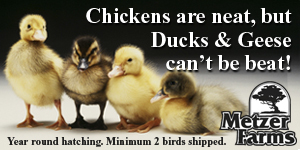 See more about baby chick care here. They soon outgrow the tote and at about two-three weeks old or so they move into a brooder cage in our garage ( a rabbit hutch or dog crate works well), still under a heat lamp, or into a puppy playpen like THIS. As soon as the daytime outside temperatures are the same as temperature in the brooder cage, I bring them outside during the day. Depending on the time of year I get my chicks, that can be anywhere between 4 and 8 weeks old. 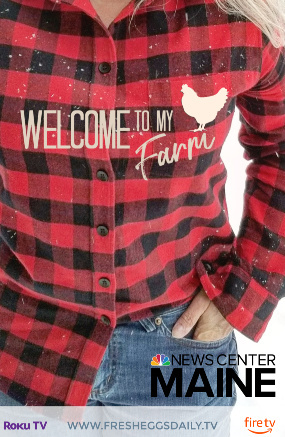 If I am adding grown hens, I keep them in a separate grow-out pen behind our barn for at least 30 days to be sure they aren't sick AND when I tend to the chickens, I tend to mine first, THEN the new ones, then come inside, change clothes, and wash up well. You don't want to take any chances transmitting a contagious disease to your flock from newcomers. After the 30 days, you can set them up inside your run with fencing in between to keep the two groups separate as described below. I have a small pen that I put inside the run so the little ones (or other newcomers) are safe but can get used to being outdoors AND the big girls can get used to the newcomers. The pen clips to the side of the run so I can move it around into the sun or shade as needed. 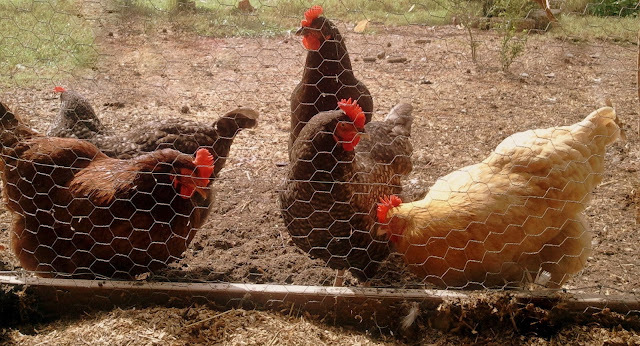 You can do something as simple as sectioning off a part of the run with chicken wire to keep the grown hens (or ducks) out. 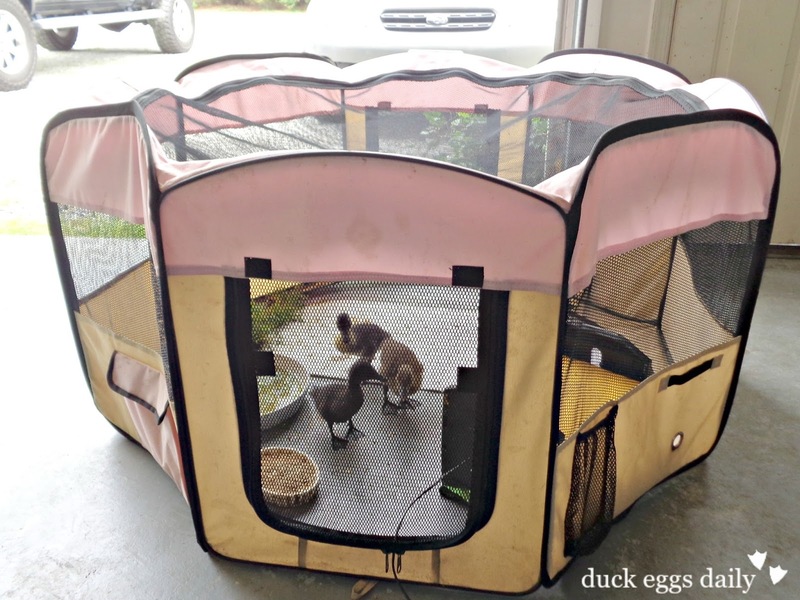 This small enclosure was fine for three little ones. I covered it with a piece of plywood to keep out the sun. I make sure they have shade, as well as protection from the wind, and plenty of feed and water. As you can see, there is a lot of curiosity among the grown hens. During this time, I collect them all and bring them back into the house to sleep each night,because the night time temperatures are generally still too cold for them to spend the night outside. They tends to be the most tedious part of raising chicks, I have found. I use a cat carrier to tote them back and forth. If you live in a warm climate, depending on the time of year, a small rabbit hutch/attached run inside the regular run would work quite well as transitional 'housing', allowing the pullets to sleep outside also. Just be sure that all openings are less than 1" or snakes, rats and mice can get in. After about ten days of having the little ones outside like this during the day where they are safe from the older hens' beaks, the curiosity tends to wear off and the eventual face-to-face go far smoother. The benign curiosity on the part of the older chickens is obvious in the short video below. 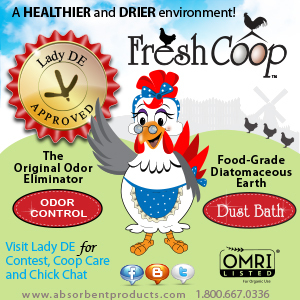 But don't let your sweet hens fool you - curiosity can turn to nasty behavior in the blink of an eye. 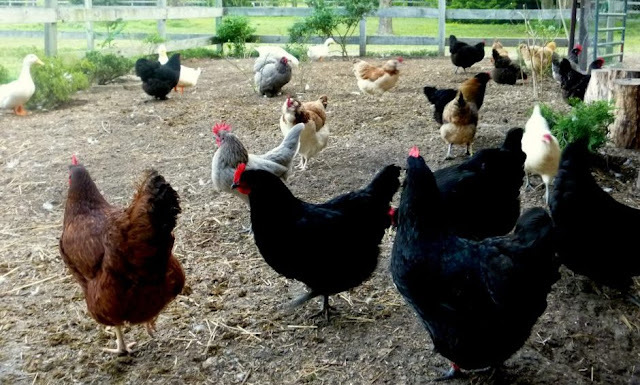 When you are finally ready to let the little ones (or the full-grown hens who have been in quarantine) out into the run with the general population, be sure that you distract everyone with some treats or a pile of leaves or grass. It helps if there are places the little ones can run and hide to get away, such as under branches or even under a board placed on bricks or cinder blocks. I find that branches that the little ones can perch on also help get them away from the older hens, who seem to only want to chase those on the ground. Don't spray the newcomers with vinegar or rub them with dryer sheets (don't laugh, I have read both things on other blogs!). You don't need to add them to the coop after dark, although sometimes after a day in their pen, I will just pop the pullets into the nesting boxes to sleep instead of carrying them back to the house. That way they are warm, safe, and as long as I get back down to open up the coop just before daybreak, they won't get picked on. Watch the two groups after introducing them to each other. If you notice one hen being excessively mean, removing her from the run for a couple of days to a dog crate can do wonders for her disposition. It will knock her out of her place in the pecking order. 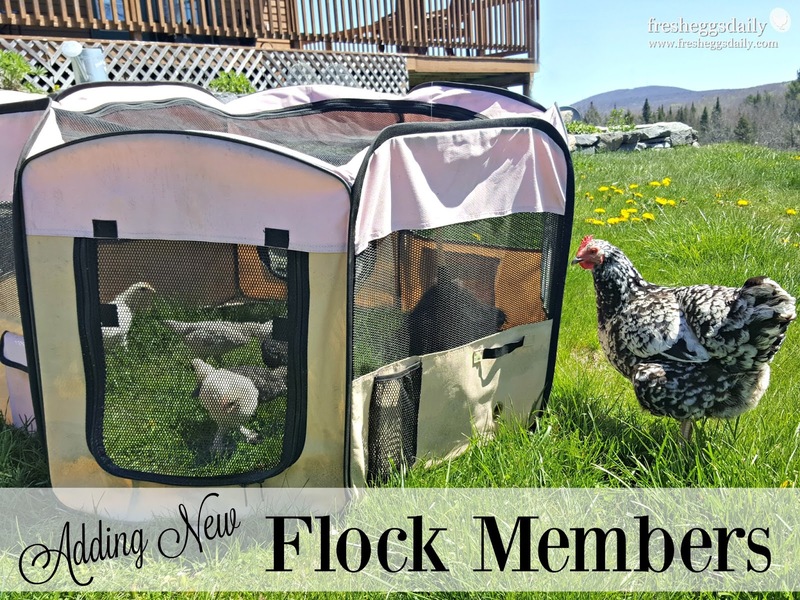 Once she returns to the flock, she will be more concerned with regaining her place in the pecking order than terrorizing the newcomers. 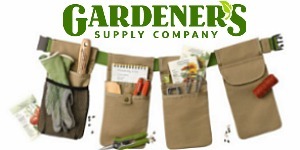 As for feed, if you have layers and non-laying pullets in the run together, put everyone on starter/grower. Pullets shouldn't eat layer feed because it has too much calcium and it can damage their kidneys. 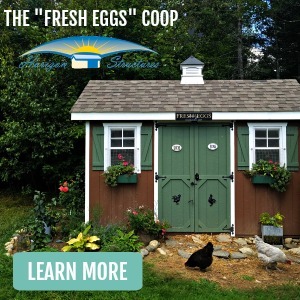 The laying hens will be fine on the starter/grower for a few weeks, but be sure to provide oyster shell (or crushed eggshell) free-choice in a separate dish for the laying hens - and check it often - because they will eat a fair amount to get the calcium they need for their egg shells. You will want to set up a few 'feeding stations' around your run so a few bullies can't prevent the little ones from getting to the food and water. An injured pullet should be treated immediately to prevent further pecking, but resist removing her immediately from the run. Removing her will just put her back at the bottom of the pecking order when she returns. It is far more productive to remove the bully (or bullies) if possible. If you aren't sure who they are, then remove the injured chicken along with several others the same age, so when you re-add them all back after a few days, she won't be the lone 'newbie'. If the pecking and squabbling seem relentless, block off part of the run with chicken wire and try keeping the two groups separate for a few more days and then try it again. Eventually they do work it out and peace will reign again in your run. At least until the next time ! Wow that is such a wonderful post full of so much great info. All of mine are the same age right now as I am a new chicken mom but eventually I will have to replace chickens I am sure. Thank you for your reply, I have had chickens for a few years but I wanted to do something different, I sold 36 hens and bought 12 different, I bought different breed of Marans White Marans,Golden Cuckoo Marans,Blue Splash Marans ,Black Copper Marans & Cuckoo Marans & their only 2wks. old so when they start to lay I'm going to get rid of my other 6 hens and I wasn't sure how long I would have to keep them separated. Thank you for posting. This is great information. Love this post! Thank you so much. 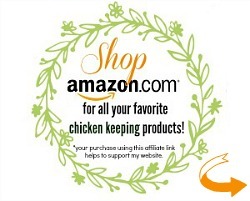 I am new to raising chickens, so this is very helpful and much appreciated! Oh good ! Its hard to believe that our sweet girls could be mean, but believe me, trying to add newcomers without using this method, will be a disaster. This post was so timely! Thanks for the information! Just rehomed 5 full grown Americanas, keeping 3. 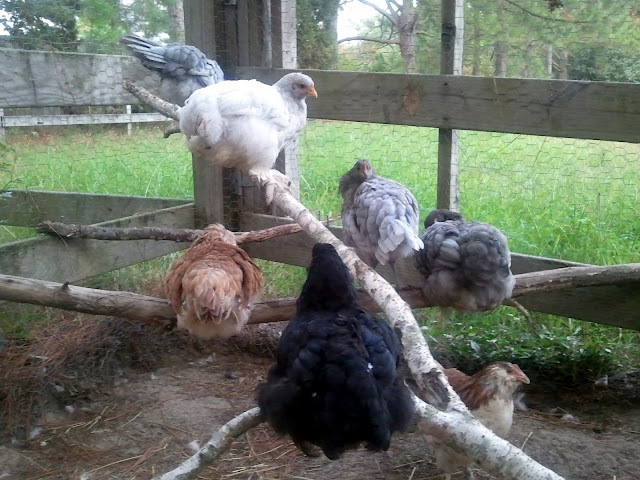 So I added 9 pullets to their coop, 3 buffs, 3 Morans, 3 wyandottes. ( I might add that these 9 are the sweetest, friendliest, chicks I have ever had)! Everyone is getting along great, I have 5 Bantams in the coop next to them (w/ 1 Americana that thinks she a Bantam. My 3 big sweeties are being mean. The babies were added to the chicken house in a screened off area. They are fine in the day but at night or early in the morning they fight. I have started letting them together now that they are bigger. The problem is the roost, tonight I divided it in half so that maybe my big girls will leave my babies alone. Hope this works! Unless you get down there to let everyone out right at sunrise, they will all wake up, be cooped up and start going at each other. I had three mean girls too last spring but the 8 pullets finally learned to hold their own. Thank you so much for this helpful article! 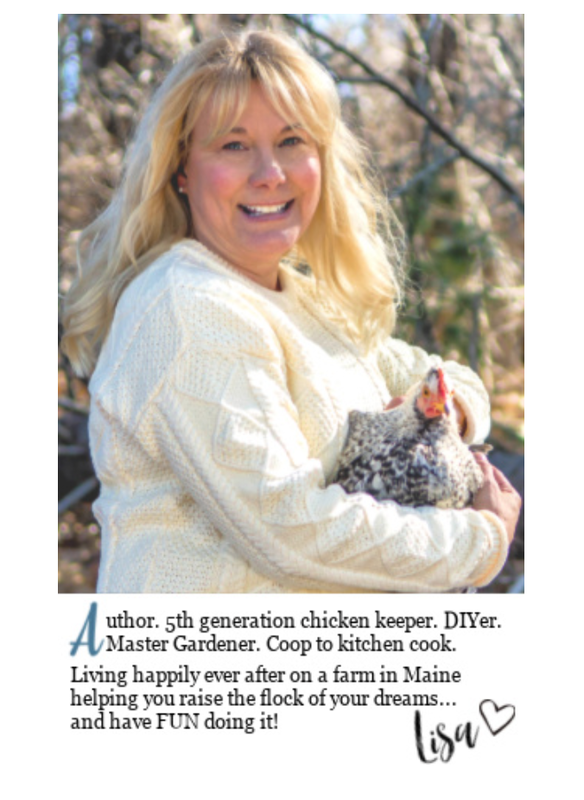 I slowly introduced 12 pullets to my existing flock but didn't switch over to the starter/grower feed. They instantly started devouring the pellets so I thought it was safe. I noticed one became very lethargic on Monday & I separated her but she died that evening. I now have another one acting the same way and afraid I will lose her too. I hate to think that I killed them by feeding them pellets but it sounds like I did. This breaks my heart as these were my babies that love to climb all over me & follow me around. I hate to lose these special girls. I am so sorry. As far as I know, giving layer feed to pullets 'can' cause kidney damage down the road, but won't have immediate consequences. I wonder instead if the feed were moldy. Although they generally will stay away from moldy feed. It is always best to crate the bully if you can identify them. Good luck ! Thank you sooo very much for another wonderfully informative post. 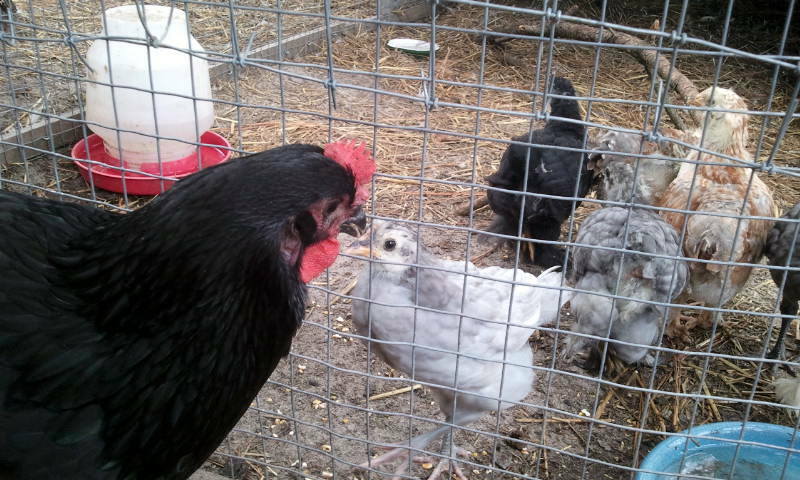 I have four 8 week old Marans that I am now free ranging with my adult RIR, EE and Black Orpington. The 7 are fine in the yard, but still go to their separate pens at night. Red (RIR) will not let the babies up in the coop. Later, when the babies are a little larger, I'll just place them up there after dark as you suggest. Thank you!! My RIR Orange Chicken is one of the worst to newcomers. She's a sweetie to me but just try and put a new chicken in the run ! She just doesn't like it. This part was especially important, I think. 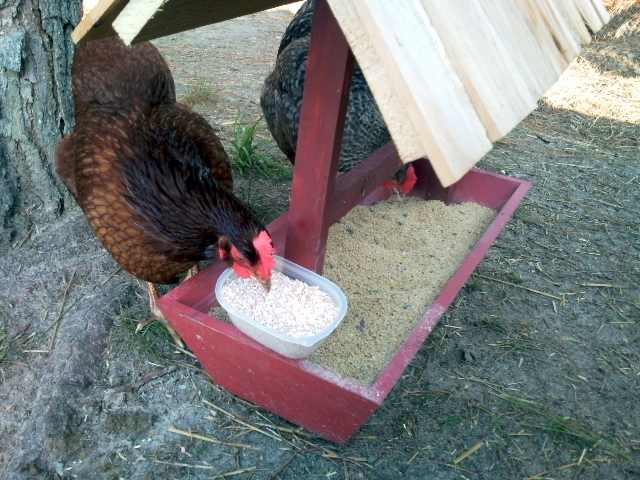 Most of the fuss between pullet and hen seems to happen when feeding. Going through this now....! Great info!!! :) Just started this 2 weeks ago. Unfortunately I have 2 ages to introduce to our year old girls. The youngest group of 5 has a scissor beak in the bunch, trying to figure out what is the best to do there . . .
As long as she can eat, she should be fine. I have read that crumble is easier than pellet and as long as you see that she is eating and drinking okay she can live with it. Thank you for the much needed info. I will be adding to my flock in the next month or so. You have mentioned things that I had not thought of and did not realize...like taking out the bully instead of the one being picked on. Glad to help. It's crazy how our sweet girls turn so mean and anything that will avoid pecking and injury. Thanks so much for sharing your integration process. I've just begun raising chicks this year, but have been wondering how to introduce new ones next year. I also have two very curious dogs who after about six weeks haven't quite gotten used to the chicken coop. Thank you so much... much needed information that I was having trouble finding the answers to elsewhere!!! I love your facebook page with all the photos that you add.. I routinely reference your information to my hubby. 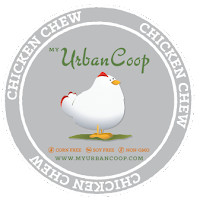 I have also made sure to tell some of my friends about your site since I am spreading my chicken addiction!! Thanks again... love what you do!! Thanks for sharing with your friends also ! Well thank you ! I appreciate that you enjoy what I do ! In this heat, I would put them outside. Last summer I had chicks out a month old, in a very secure pen inside my run. Put them out, separated like you say. We are newbie chicken owners, bought 3 15 weeks old pullets, 1x australorp, 2 x new hampshire crosses last week and they have settled in well. 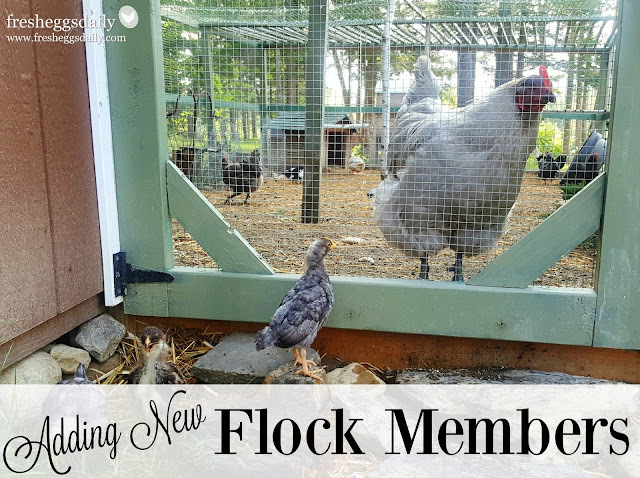 A week later we decided to get another pullet a light sussex but she is only 9 weeks old and still chirping, let her out briefly and the two new hampshire started pecking her and trying to jump on her. So we have had to seperate them by letting the little one live in the enclosed coop and the other 3 free ranging in our garden, the little one also sleeps in the nest box which is seperated from the main roost by cardboard, with some windows cut into it. Can anyone give any advice on how to integrate her into the coop or is she too young and small (she is about half the size of the other three at the moment). The australorp is the lowest in the pecking order atm and i read somewhere that you can try putting her in with the little one and then reintroducing both to the main coop. But I really thought because there was only a months difference and we only brought them a week apart that they would be ok. We dont really have the room to set up a whole seperate coop and run because they are backyard chickens.Help please! Australops are pretty docile, I would try that, put the Australorp in with the new one and see how that goes so everyone is safe and has company. A month difference isn't really the issue, its that there is a newcomer. 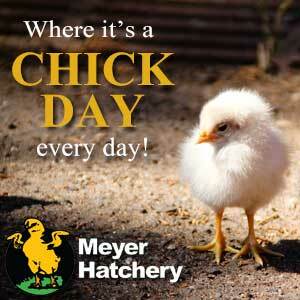 Anytime after about a month or 5 weeks old, pullets won't accept newcomers without a cooling off period. Keep them separated as best as you can for a week or so and then try again and see how it goes. Keep me posted. 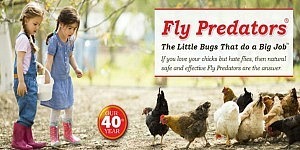 Spray her with Blu-Kote so the other don't pick at her and then put her back in and take out the rooster instead. Let him stew in a separate pen or cage for a few days. That might help with his aggressiveness. she has been out for about a week. I have been letting her our outside of the in closed area every day, but the rooster will not leave her be. He tries to peck threw the wire. what should I do? I also have another question. the rooster has spurs, I was wondering if this is was caused it. I would definitely put her back in and let the rooster be outside the run. He is better able to protect himself in case of a predator anyway. And yes, most likely the spurs. You might want to talk with a vet. Its not just the spurs, its also his beak and nails on his toes....if you don't have him for breeding purposes maybe think about rehoming him? is there any way to get ride of them? Yes there are a few ways as far as I know but I am not a vet and wouldn't want to advise you the wrong thing. If he's that aggressive, removing the spurs will help a bit but he will still be able to do a lot of damage with his nails and beak too. how can I remove them? I asked a person at tractor supply and they said that the rooster was to old to take off the spurs, and that he would bleed to death. is this true? I believe you can remove spurs from an adult rooster,so I don't think he's too old but it's really a question for your vet. how do you remove them? That is something you will have to discuss with a vet. I wouldn't even begin to try that myself OR advise anyone else. 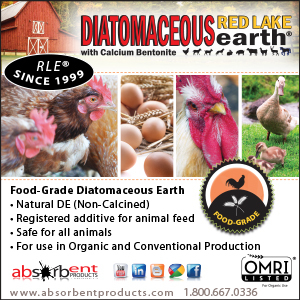 how old do chickens need to be to intergrade them? Thank you so much for all of the great information! I am in the process of introducing my 3 one-year old hens to 4 ten-week old pullets. 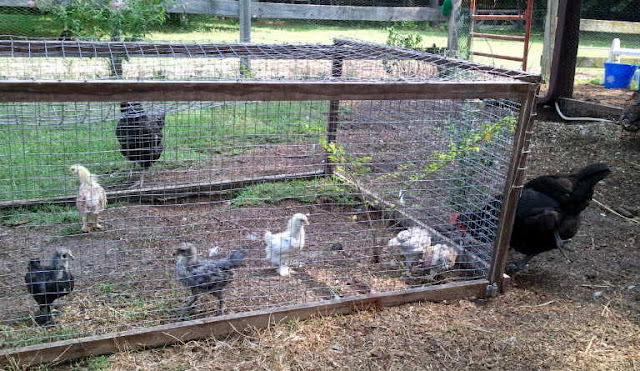 They spent two weeks side by side in the coop separated by chicken wire and they free ranged together during the day. Last night, the little girls went to perch with the big girls and there seemed to be no fuss so we took the chicken wire down and let them all sleep together tonight. I am having anxiety now that the little girls are too young. Do you think I should let them go and see what happens or separate them until the big girls are closer to full grown? Sounds like you're doing it right. At ten weeks they should be fine. A bit of anxiety (on your part) is normal :0) But do keep an eye on them to be sure that everyone is getting along. Thank you for posting this! I have 6 2 y.o. 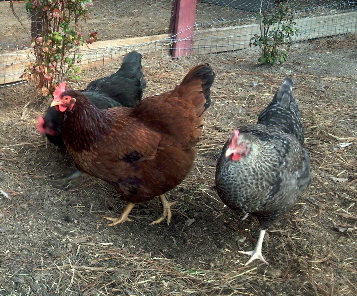 laying hens and recently added 2 Amercauna pullets. 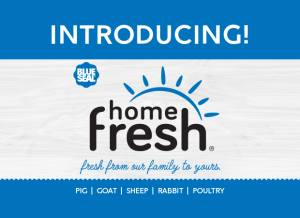 They are okay when they free range but in the run and coop things are crazy! This has been stressful but it seems like after almost 2 months of integration things are calming down! Thanks again for your advice! Thanks for your wonderfully helpful posts... I took out a 7 mo old pullet from the coop/ run after noticing she had a bloody comb ( frostbitten and then pecked.) Couldn't tell who was doing it. She's find now after three days separated and in dog crate. Also have same ags rooster who is terrorizing the flock. Was going to put pullet back in coop tonight and remove rooster for good. After reading your post, should I take another pullet out and into crate for another day or two, first? Take rooster out then or later? Thanks! I would take the rooster out now and leave the pullet. If its' him doing the pecking then she should be fine. 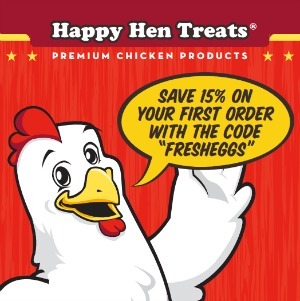 I love your assortment of hens, reminds me of my own. I have added several different types during the last three years. I love to watch how they get along and also sometimes argue a bit. It was nice outside yesterday and there were seven lined up in a row taking their dust baths. I love the different colors of the eggs. This year we bought ten Ameracaunas, five black Australorpes and five Buff Orpingtons. They are two weeks old. A week ago one of my Golden Laced Wyandottes decided to sit on a nest and he told me to leave her be. So I made a pen, with a top, feed and water for her. Then I went back and put a blanket around the pen because it is so cold today. I can't wait to see if she hatches some babies. If she is disappointed, I will buy her a few babies to raise. 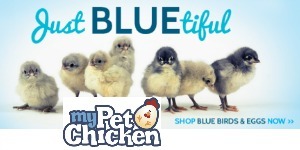 Can I add new chicks to 3 week old chicks? Thanks! Thanks for all your great information. I tried the herbs in a cage for them..they didn't care for it...but want them to play with toys. I will think of something else. I have ur first aid kit. Glad to have it and care info. How do u have time to write?? Thanks again! Hi, Lisa! This is really helpful. Thank you. I do have a question though. You mentioned putting the whole flock on starter feed when young ones are being added; can the breakfast for champions recipe be added to that? Also, am I understanding that once I follow the above steps, chicks that are around 9-10 weeks old can be added as long as I watch the integration? I think my Cuckoo's are really ready, but I've never done this before. I'm in the process of putting them in the run during the day since the temps have been 40+. 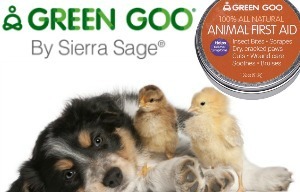 I have 3 of them and one is a roo. I'm not thrilled about the unexpected roo though. What are the odds he'll be safe? I plan on culling him at 17 weeks. Any thoughts you have are welcome. Great information. When we moved to our new place, the coop came with 3 older chickens who are definitely the kind of mean girls you described. My Lucy and Ethel are being terrorized and I haven't known what to do except to separate them for part of the day and feed them at that time so I know they are getting their share of food, as well as probiotics, water, and healthy food scraps or grain fodder. I'm wondering, though....I noticed you mentioned separating the bully chicken into a pet carrier. Do you think that would work for me now? We've been here 6 months and I've only begun to separate them periodically as it became more clear what was happening. 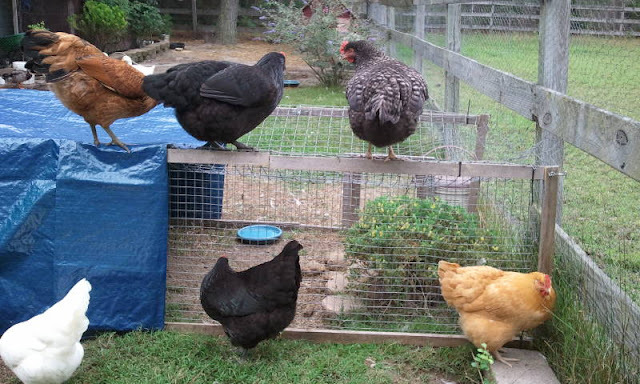 I'm wondering if instead of isolating Lucy and Ethel, I could just simply isolate the other chicken for a few days and allow the pecking order to re-form? Very interesting idea regardless of whether I can use it or not in this instance. 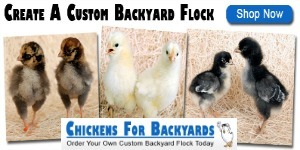 I definitely will want to integrate new chickens into my flock in the future. Take two of the mean chickens a put them in a big dog cage so there not lonely and keep them there for a few days. 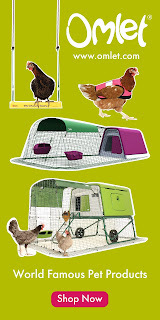 If that dosnt work then have them in seperate cages in different places so they are not the king/queen of the coop. Thanks for the very timely and comforting advice. We have 4 hens that are 15 months old and 29 "babies" that are 8 weeks old . The babies have been outside in their own coop/run area for about 2 weeks. The big girls can see, smell and hear the babies and vice versa. At first there was lots of grumbling and squawking from the ladies. Now they seem to be ignoring the littles more than anything. This coming weekend will ne Independence Day for the littles:they will be allowed to free range with the hens for the first time!